Not yet a member? Apply Now! “Building a livable, workable and sustainable cities powered by Information and Communication Technology (ICT)”. This, in a nutshell, is the core message emphasized by officials of the Department of Information and Communication Technology (DICT) and National ICT Confederation of the Philippines (NICP) during the 9th NICP ICT Summit and digitalcitiesPH National Launching at Limketkai Luxe Hotel, November 16, 2017. 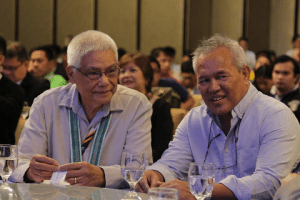 The twin national events were graced by Cagayan de Oro City Mayor Oscar Moreno, DICT Officer-In-Charge Undersecretary Eliseo Rio Jr., NICP President Stephanie Caragos, DICT Undersecretary Monchito Ibrahim, PEZA president Ching Plaza, ICT councils’ officials and stakeholders from all over the country.